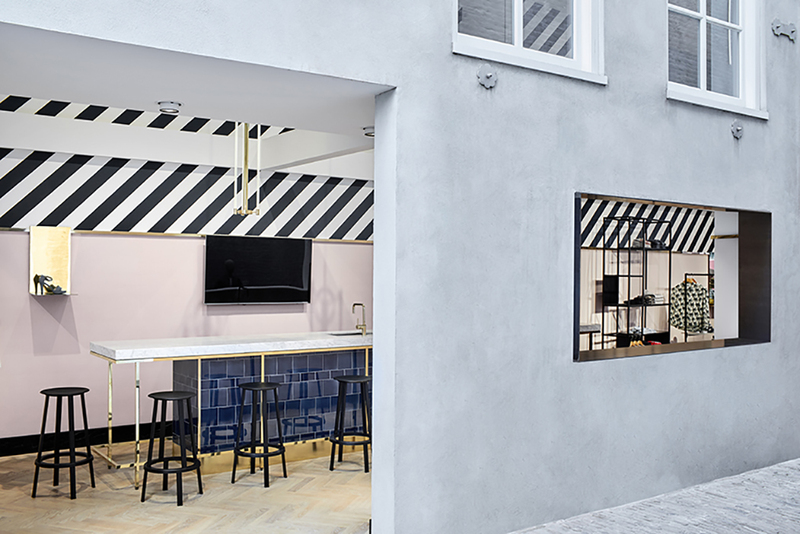 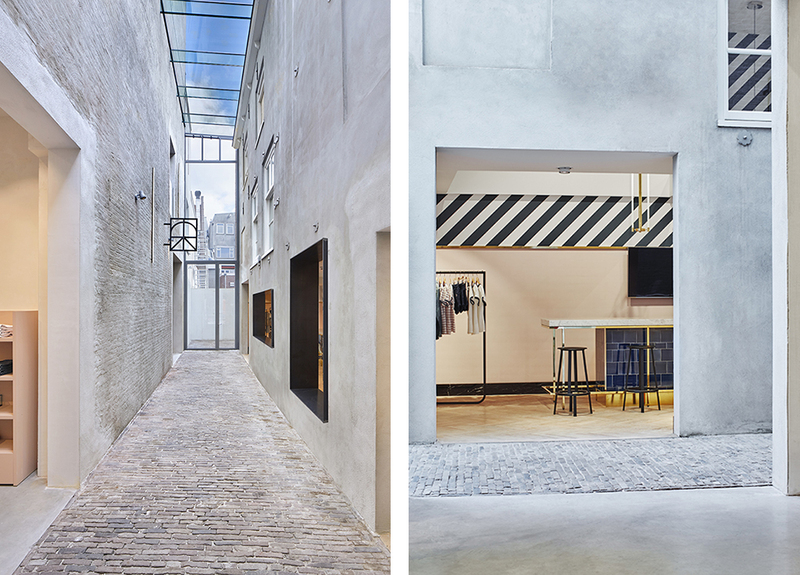 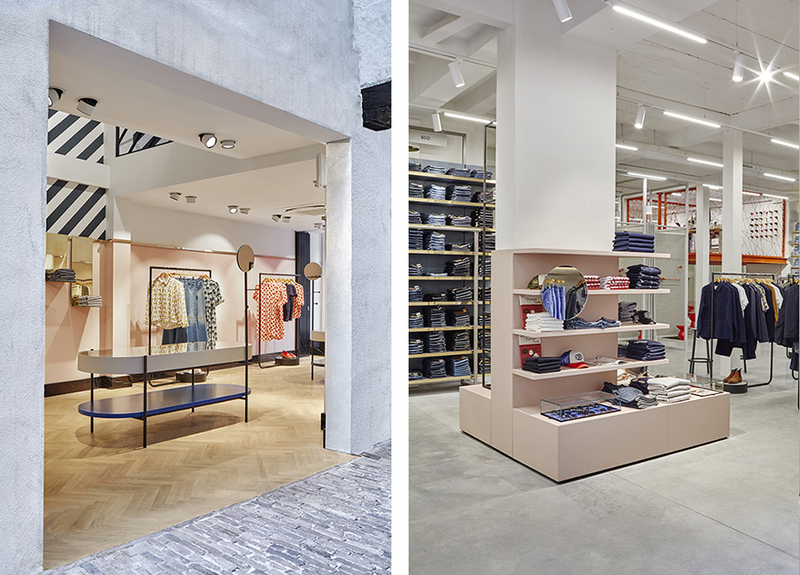 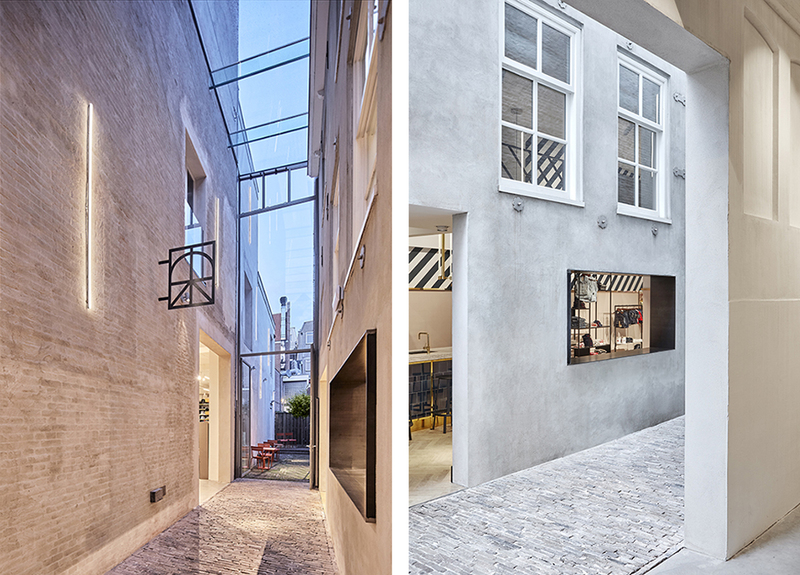 Iconic denim store De Rode Winkel, located in the picturesque city centre of Utrecht, teamed up with design studio VEVS to create a new retail experience, integrating an intersecting historic alley into the store. 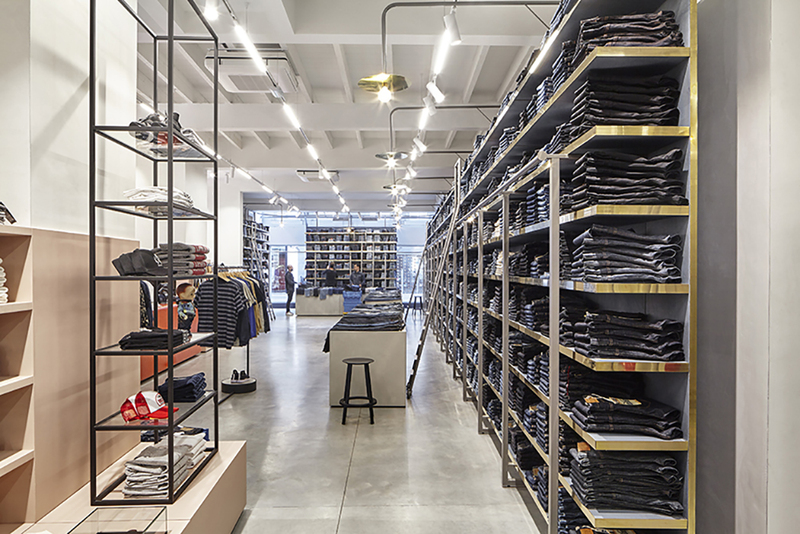 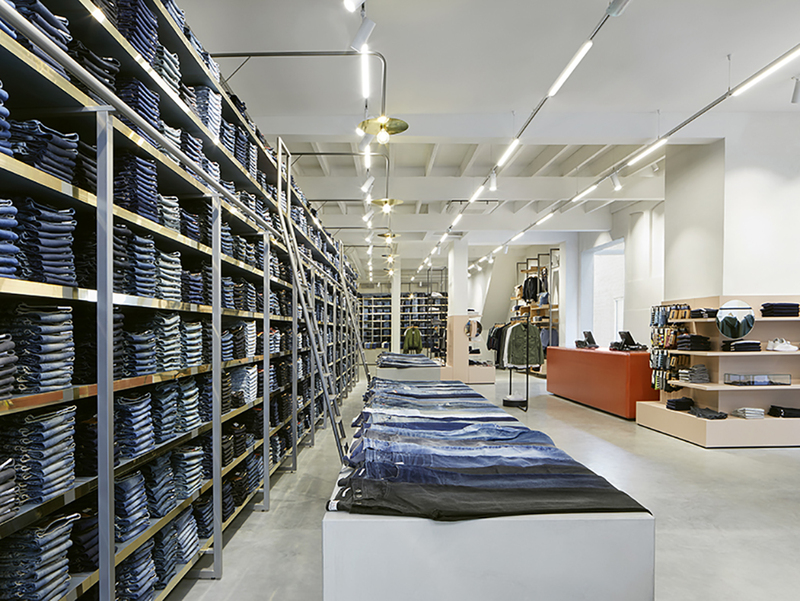 Now that a glass roof (architectural intervention by Thomas Kemme Architects) has relocated the alley to the inside, a renewed main entrance lures customers into a contemporary world of denim. 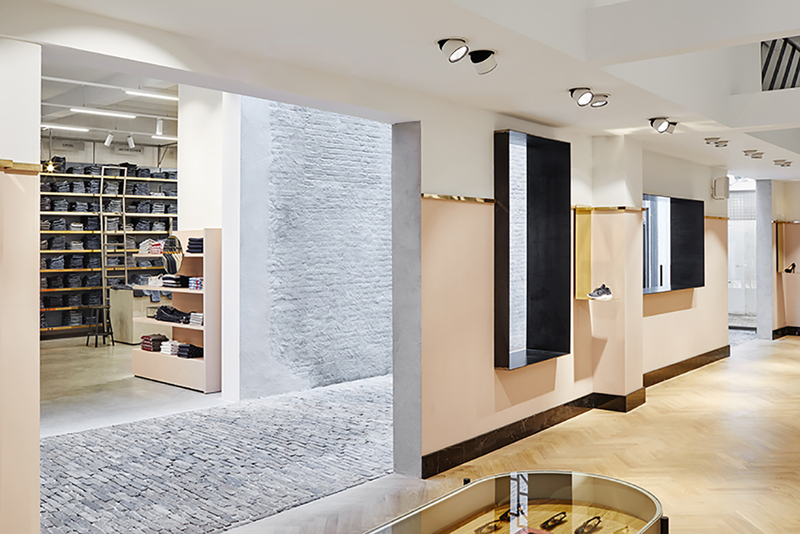 VEVS’s approach of the interior has created distinctive spaces, each one responding to another consumer need. 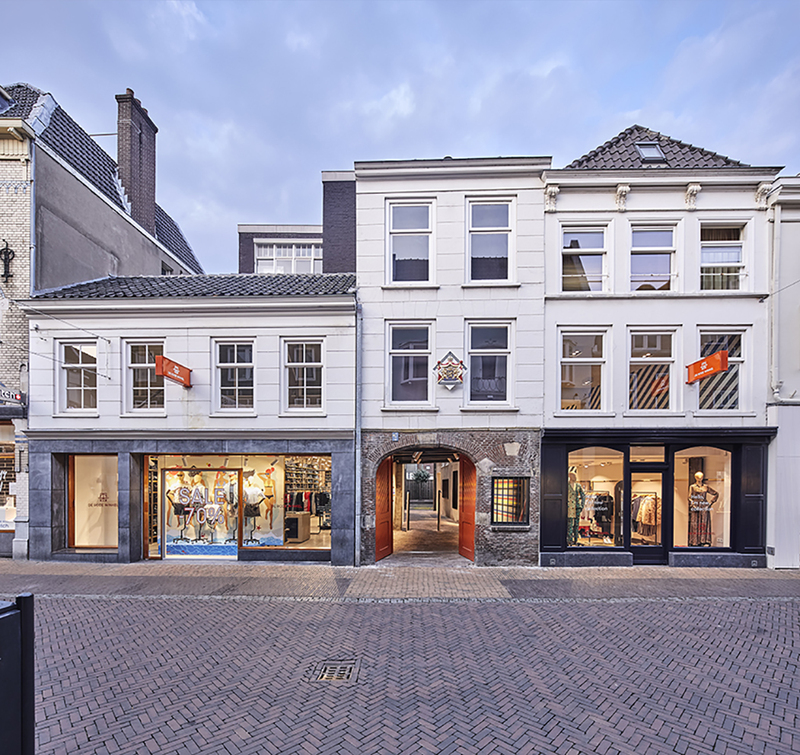 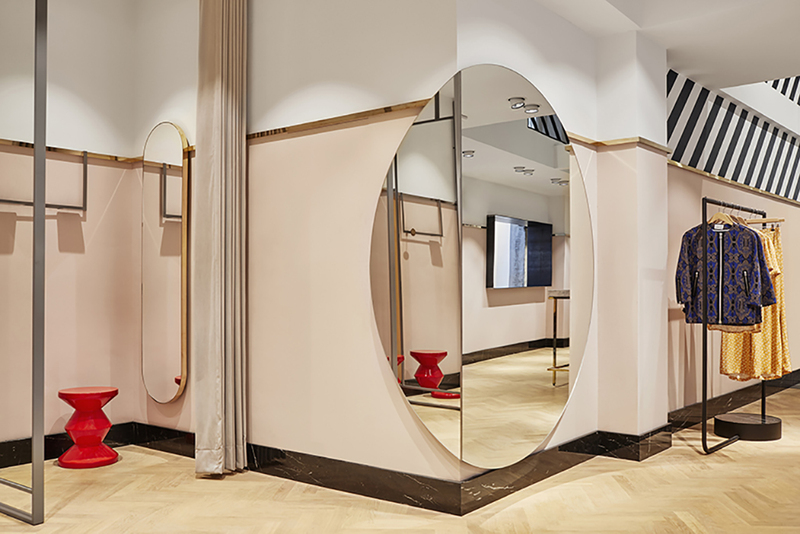 VEVS was approached by De Rode Winkel with a unique commission: integrating the alley into the store’s shopping experience, having all 6.500 jeans in the collection on display at all times, building a spacious fitting-room area, a bar and a sewing shop, and expanding the women’s apparel collection. 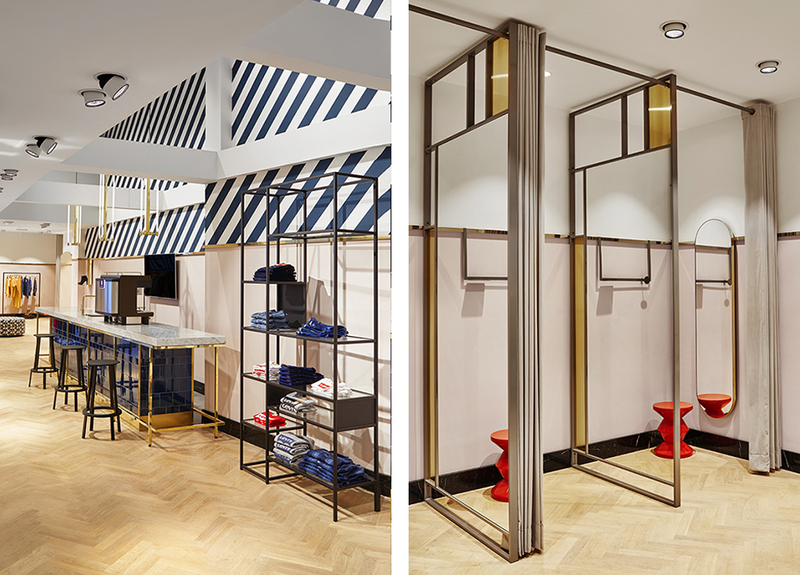 To meet such specific desires, VEVS coordinated a smooth and close collaboration between all disciplines involved. 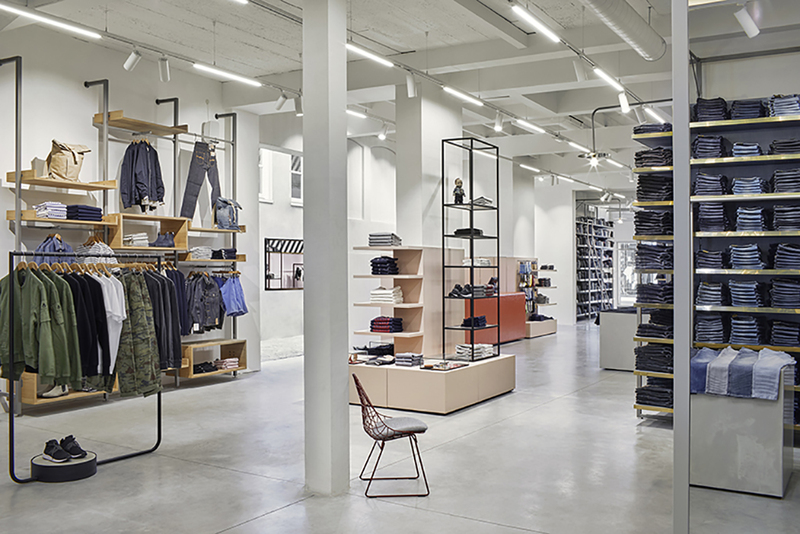 The elements and their details, from stretching rubber strings around the sewing shop’s edges to assembling a storage system for the jeans depot, were meticulously balanced and made to measure.